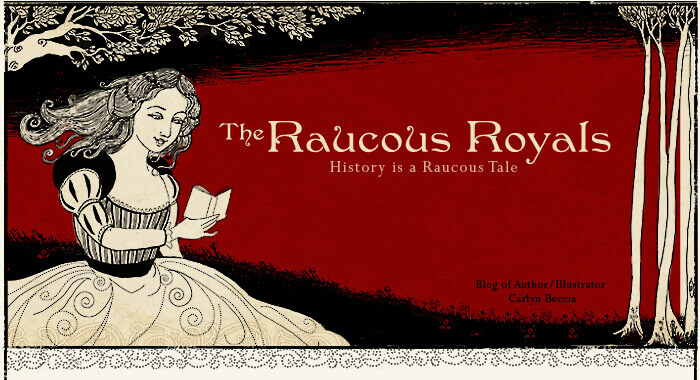 June's Raucous Book of the Month is a little off the topic of royalty, but appeals to my evil twin's (named Jesse) greatest love - Sideshows. 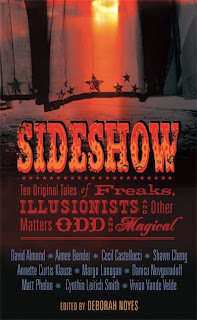 The title of the book, Sideshow: Ten Original Tales of Freaks, Illusionists, and Other Matters Odd and Magical, delivers what every circus poster of the 19th century once promised...a chance to look. In a collection of bizarre short stories, you will meet such characters as Madame Zelda - the local fortune teller, Molly - the teen bearded lady, Tia Nafretiri - the daughter of a 3000 year old Mummy, and an occasional three-headed rat. Each fast-paced short story ends with a strange twist and a modern spin on what it means to live on the outskirts of conventional society. 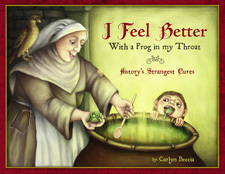 Some of the stories are beautifully illustrated in a graphic novel format that makes your typical scary clown a tad creepier. Get this book for your vampire loving teen who just might be a werecat by night. I will be giving an advance copy of Sideshow to one lucky newsletter subscriber. 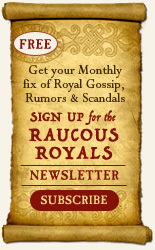 If you are not a subscriber, then you can subscribe here.